In December 1860, the United States was on the brink of civil war. South Carolina’s legislature had already passed an ordnance of secession and other states would soon follow suit. The nation’s capital Washington, D.C. was in a perilous position. Surrounded by secessionist Virginia and ambivalent Maryland, the undefended city would soon find itself within quick marching distance of Confederate armies. In 1860, the U.S. Army was busy fighting natives out West. Worse, many city residents — in particular, the family and friends of U.S. legislators from southern states — were “actively disloyal,” in the words of historian Philip Van Doren Stern. Indeed, it’s possible that only the quick actions of the District’s emergency inspector-general and his spies saved the capital from becoming a Confederate city. Stern recounts this fascinating tale and others in his all-but-forgotten 1959 book Secret Missions of the Civil War. 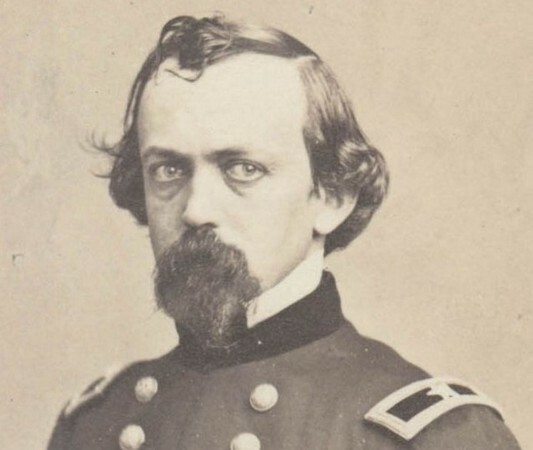 In late 1860, there was only a handful of regular Army troops in D.C. — and no single commander whose job it was to oversee the District’s defenses. On Dec. 31, U.S. Army commander-in-chief Lt. Gen. Winfield Scott, whose headquarters were in New York City, was in Washington at Pres. James Buchanan’s behest. Scott happened to cross paths with a former subordinate of his — an officer named Charles Stone, a 36-year-old graduate of West Point and a veteran of the Mexican War. Scott asked Stone how many D.C. residents were loyal to the United States. “General, it is my belief that two-thirds of the fighting stock of this population would sustain the government in defending itself,” Stone answered, according to Stone’s own first-person account, which Century Magazine published in 1883 and Stern reprinted in his own tome 76 years later. Scott immediately granted Stone a promotion to colonel and appointed him inspector-general of Washington, D.C. His job would be to rally the loyal two-thirds of the citizenry — and guard against the disloyal remainder. The job would be a difficult one. And it would grow more difficult in March, when president-elect Abraham Lincoln arrived for his inauguration. Initially lacking full-time troops of his own, Stone assessed the ranks of the District’s volunteer militias. Rather than discovering a reserve of potential allies, in the volunteer troops Stone found one of the greatest threats to D.C. 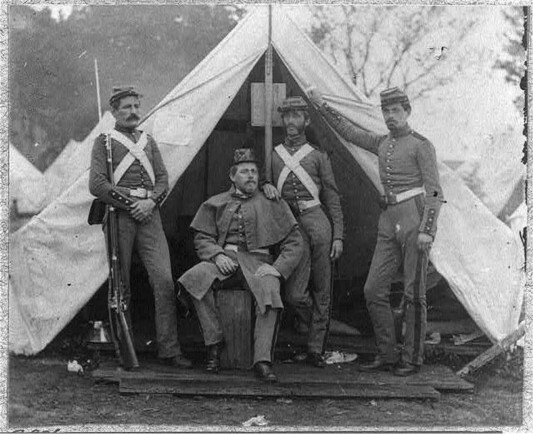 There were three militias — the Potomac Light Infantry, the National Rifles and the National Guard Battalion, together numbering around a thousand men or so. Stone met the commander of the National Rifles, a captain named Schaeffer, by chance in front of the Metropolitan Hotel on Jan. 2. Schaeffer — a former U.S. Army lieutenant and an “excellent drill-master,” according to Stone — was not aware of Stone’s recent appointment as D.C. inspector-general. And Stone did not volunteer that information at first. “It must be admitted that this was not a very cheerful beginning,” Stone recalled. The colonel inspected the National Rifles and found the 100-man unit capable of “accurate and rapid drill.” He also discovered that the militiamen possessed the latest U.S. Army rifles and howitzers. Inquiring at the office of the Army chief of ordnance, Stone discovered that Schaeffer had been drawing federal weaponry for his men on the basis of a written order by a former — and by then deceased — U.S. secretary of war. Stone quickly convinced the new secretary of war to rescind the order, and also persuaded the secretary to give Stone the authority to vet all new Army officer-commissions and arms-distribution in D.C. The colonel sent a member of his staff to pose as a National Rifles recruit — a spy, in effect. The agent reported that the militia was growing quickly. “Its ranks received constant accessions, including the most openly declared secessionists and even members of Congress from the states proposing to secede,” Stone wrote. The National Rifles reportedly intended to seize the Treasury Department on behalf of a “provisional” government — in other words, the Confederacy. Schaeffer “began to prepare for action,” even requiring his men to take their weapons home with them at night so they could be ready to fight on short notice. A Confederate army was forming inside the U.S. capital. Stone briefed Scott, who ordered the colonel to suppress the militia but avoid violence. “We are now in such a state that a dogfight might cause the gutters of the capital to run with blood,” Scott warned. Schaeffer soon discovered that his supply of Army weaponry had ended. “He entered my office one day with the air of an injured man,” Stone recalled. The militia captain threatened to draw weapons by force from the D.C. armory, which had just two enlisted men as guards. Stone bluffed. “I assure you that if you do, you shall be fired on by 150 soldiers as you come out of the armory.” In fact, Army reinforcements were on their way to D.C. from West Point, but had yet to arrive. As Schaeffer slunk out of Stone’s office, Stone quickly sent men with an order to retrieve the howitzers in the National Rifles’ possession, as the guns “formed no part of the proper armament of a company of riflemen.” Still believing Stone had 150 men under his command, Schaeffer let the howitzers go. Stone moved to rid the District of the disloyal militia commander. When Schaeffer called at Stone’s office to acknowledge handing over the guns, Stone feigned friendliness … and offered Schaeffer a major’s commission in the regular Army, which would presumably allow the militia officer to legally draw arms for his men. “He was much pleased,” Stone wrote. But then Stone pointed out that a commission required an oath of loyalty to the United States. So Stone withdrew the offer. Apparently sensing that Stone had outmaneuvered him, Schaeffer soon departed Washington, D.C. — taking many of his militiamen with him. Stone promptly assigned loyal officers to command the National Rifles’ remnants. Meanwhile, a new militia was forming up in the District — the National Volunteers. Its chief organizer was one Doctor B, “of well-known secession tendencies,” according to Stone. Stone planted a New York detective in Doctor B’s new volunteer battalion. The spy reported the minutiae of the militia’s formation, including an internal debate over what uniform to wear and which buttons. Unsurprisingly, the National Volunteers settled on gray denim and buttons from Maryland — an ensemble closely resembling the eventual Confederate uniform. Doctor B’s battalion soon had 360 men, but Stone and his staff didn’t know all their names. In order to requisition weapons from the federal armory, the battalion would need to submit a roster of at least 100 men. Stone saw his chance to identify some key secessionists. The colonel welcomed Doctor B into his office and accepted the roster. “Doctor B, I am very happy to have obtained this list, and I wish you good morning,” Stone said. Surely there was a hard glint in the colonel’s eyes. “The gallant doctor evidently understood me,” Stone wrote. “He smiled, bowed and left the office, to which he never returned.” Doctor B left D.C. and later joined the Confederacy. The National Volunteers dissolved. By now it was spring. Stone had thwarted secessionists’ attempts to organize Confederate militias inside the District. Army regulars had arrived to protect key institutions and pro-Union volunteers were forming some 30 militia companies of their own. 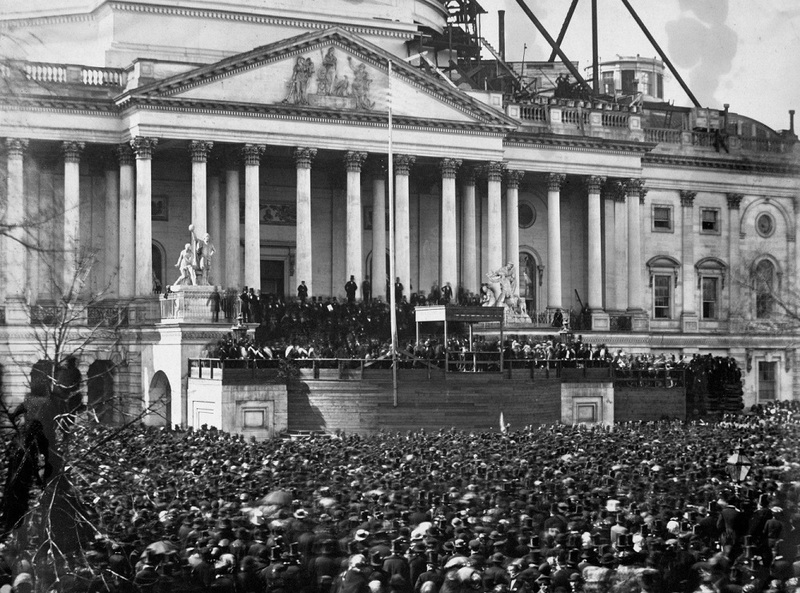 One last duty remained — to safeguard Lincoln’s inauguration on March 4. Stone sent three detectives to Baltimore to investigate rumors of an assassination plot. Convinced the threat was real, Stone and other federal authorities conspired to bring Lincoln through Baltimore and into D.C. a day ahead of his published itinerary. Stone posted troops in windows overlooking Lincoln’s route through the District as well as all around — and even under — the platform where the new president would take his oath. He seeded the gathering crowd with plainclothes policemen. Lincoln took his oath without incident. The Civil War began on April 12 when Confederate troops bombarded the Union’s Fort Sumter in South Carolina. This article originally appeared on Dec. 2, 2014.